When the number of people or pets or possessions in your home increases, it would be nice to just be able to up and move to somewhere bigger. If this isn’t an option – and thanks to soaring house prices, for many of us it isn’t – then rethinking the space you already have is the way forward. 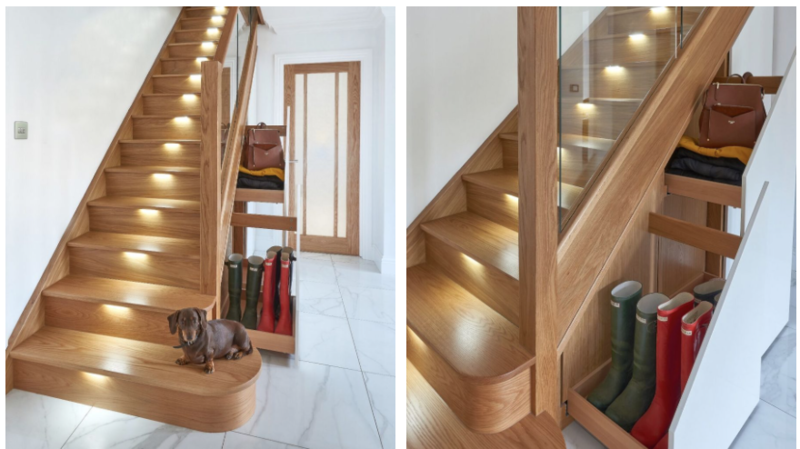 Of all the rooms in your house, chances are the one with the most wasted space is your hallway, the issue being the fact that the staircase has been ‘plonked’ there with no real thought for design or flow. At Jarrods, we ‘rethink’ the space, and work with our clients to create a design solution that not only works with their home’s look and feel, but creates space too. Working with the budget you have, there are numerous ways we can do this, from relocating the staircase, to incasing the number of treads and substituting traditions wood for glass. ‘The hallway is as important a room as any other and the staircase needs to work with the space, not block it – this is especially important if the space is small to begin with. 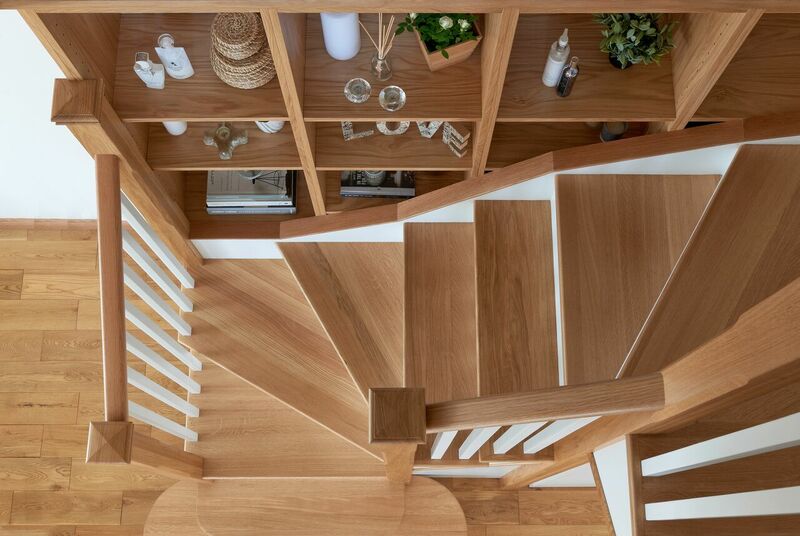 As well as working with the dimensions of your home, your staircase also needs to work in harmony with your lifestyle,’ says Jarrod. ‘This means we could look at incorporating storage solutions into your design, without actually taking up any additional room,’ he says. * Consider the hallway as a room in its own right. In the same way as a bar of soap doesn’t belong in the bedroom, piles of laundry, letters (and other random bits and pieces probably don’t belong on your stairs). * Invest in clever footwear storage. At Jarrods, we can make your shoe woes disappear via clever inbuilt storage, but in the meantime, a shoe rack is a great way to free up space and make things appear neater. 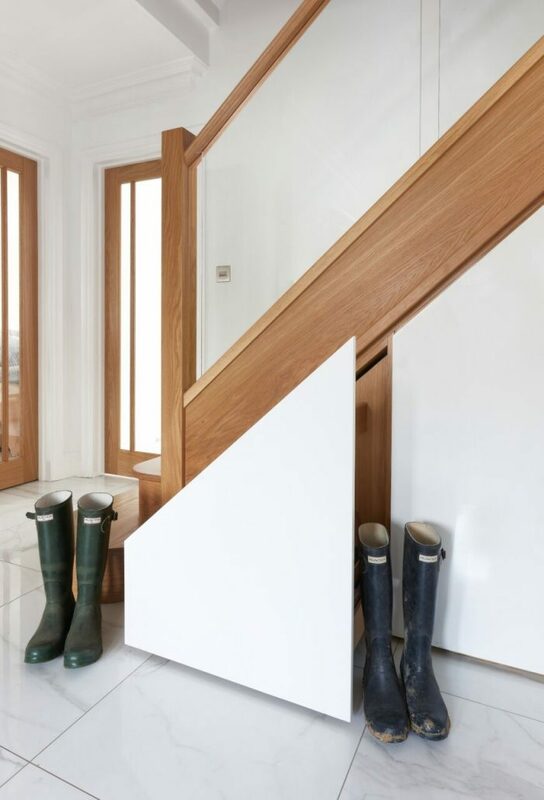 To speak to our team about trasnforming your hallway with some clever storage, you can contact us here.